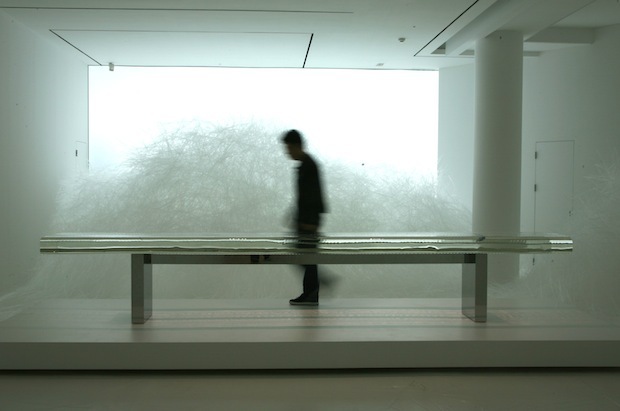 Fast Company favorite Tokujin Yoshioka has sent along another piece he’ll be exhibiting next month in a tantalizing exhibition in Seoul, titled MUSEUM. beyond museum. 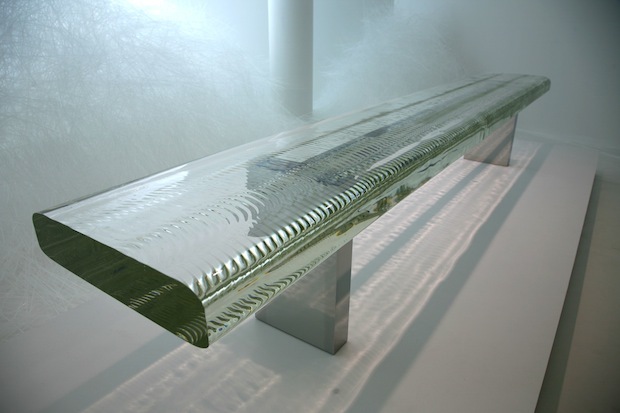 If the Rainbow Church wasn’t enough to draw crowds, Yoshioka will also show Waterfall, the world’s largest table made of optical-quality glass. Almost 15 feet long, this is the first time the table will be seen in public, after having been created for a private gallery show in 2006. Yoshioka, who mediates on materials with an almost supernatural concentration, has actually been experimenting with this effect for a decade. It wasn’t cast as is, but rather cut from a single huge piece of glass of the same sort used in observatory telescopes. Then the ripples were polished and refined, to achieve that sinuous, watery quality. When light shining through it resembles water ripping across the surface of a pond. I can’t even imagine what’s involved in moving something like this–or what happens if one of these gets dropped by an clumsy gaffer.